What kind of filtration do I need for my Phoenix AZ pond? 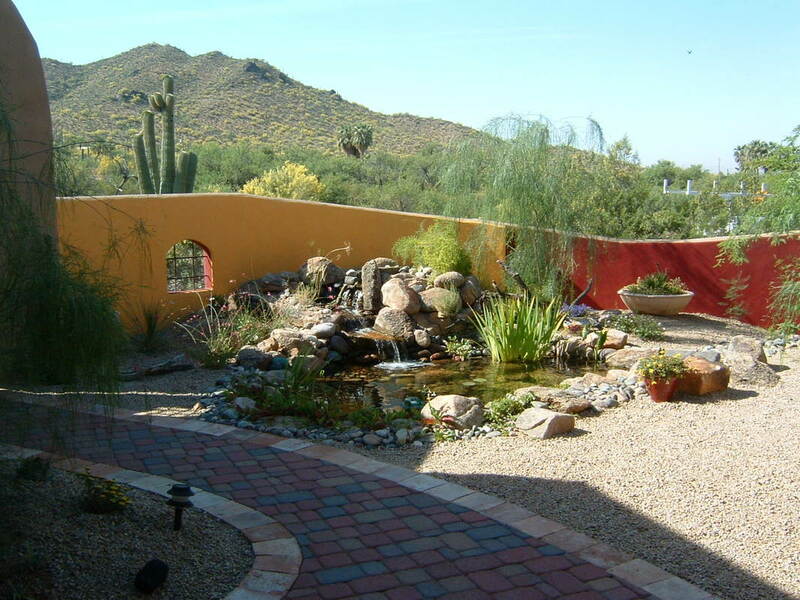 The type of filtration you need for a Phoenix AZ pond varies wildly by what type of pond you want or have. It also depends on your goals. 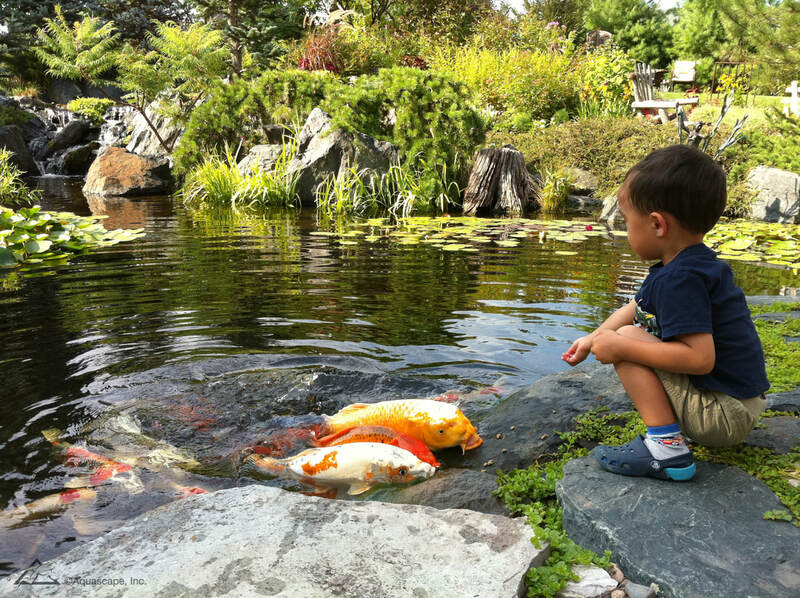 For example, if your goal is to raise show Koi, that's a decidedly different kind of filtration and circulation system (and entire pond concept, frankly), than if you want a water garden to host pet Koi or goldfish. Fish are an integral part of a pond ecosystem, but a water garden may not be the best choice for raising show Koi. Basically, you need both mechanical and biological filtration for any living water feature. YOU can be both of these. OR, you can install systems that do the work for you. There are MANY to choose from. Just remember that you tend to get what you pay for in life. You can purchase most equipment online these days, but that rarely comes with good customer service. 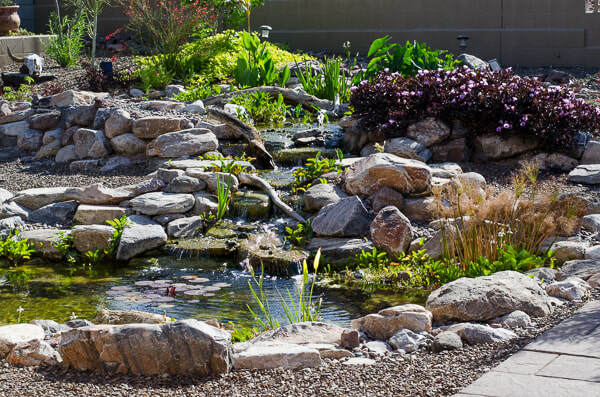 We are absolutely familiar with all styles and types of ponds -- and there are literally HUNDREDS of ways to build a "pond." WHAT PLANTS SHOULD I NOT PUT IN MY POND? What Aquatic Plants Should I NOT Put in my Phoenix Pond? 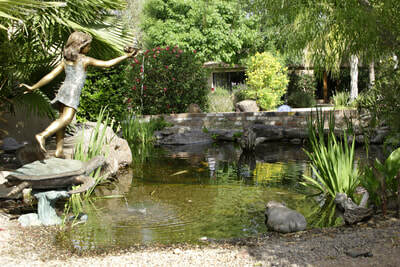 There are LOTS of great choices for aquatic plants to put in your Phoenix pond. In fact, many terrestrial plants can be used in Phoenix ponds, as well. 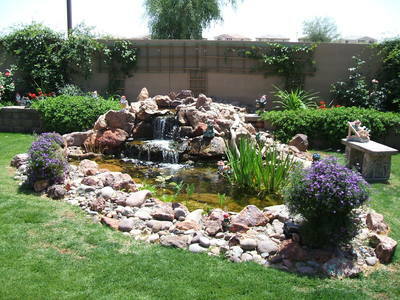 However, there are several plants that you should absolutely avoid adding to your Phoenix backyard pond. Although you might think that bamboo and ponds just naturally go together, this one is a huge no-no. It's roots (stolens) are super-sharp, travel underground, and will puncture even concrete, let alone any kind of liner. And it gets pretty darn big! There are some plants that are flat-out illegal in Arizona. Sadly, one of those is Water Hyacinth because irresponsible people have tossed them into canals and waterways, where they grow unchecked and clog up the systems. There are clubs and private parties that will give you cuttings, but it is absolutely illegal to sell, and the State looks unfavorably at anyone keeping it in their pond. ​You know those people whom stray animals just seem to find? When it comes to cats, Tom and Liz are those people. At present 16 cats have found their way into their hearts and home. Some are shelter cats once deemed unadoptable, others have wandered onto their property, and a few came from various relatives who could no longer care for them. For this reason we’re withholding their last names and exact location, lest anyone get any ideas about leaving more cats with them. Tom and Liz love to save cats, but they are at their limit. 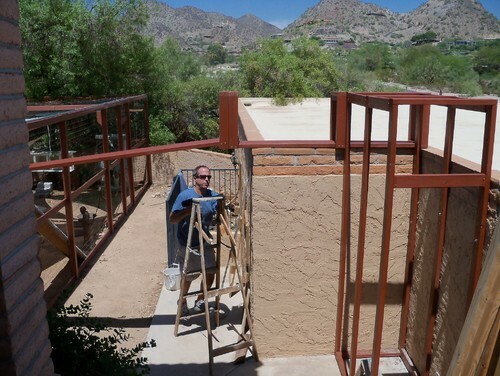 ​When the couple moved to this home in Paradise Valley, Arizona, cat safety and quality of life were priorities. 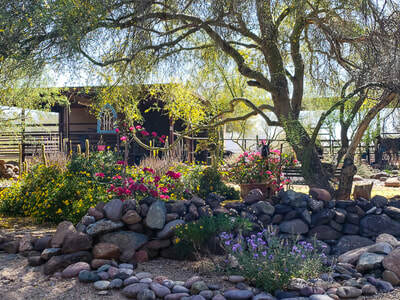 Their property is about an acre, surrounded by desert wilderness. Predators like coyotes, great horned owls and foxes prowl nearby, and even some of the plant life around can injure cats. A secure enclosure was a must. Here’s how they created cat heaven. 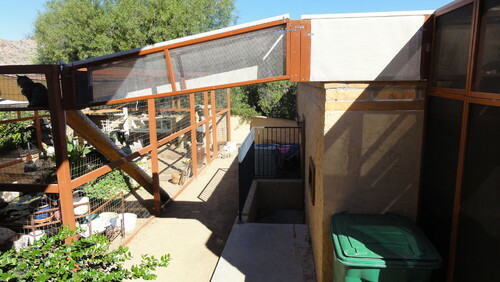 ​The enclosure is about 600 square feet total. Tom began by sketching out his ideas and rendering his plans using 3-D software. While he had a good understanding of construction and framing, he enlisted some help in setting the redwood fence posts in concrete. The rest of the work he completed by himself on nights and weekends. The project took a few months. 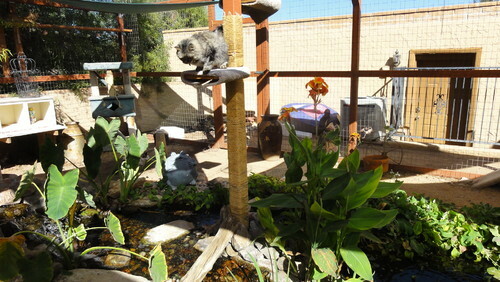 ​“The friends that helped with the fence posts already knew our cats,” Liz says. “It was a labor of love on their part.” The metal you see here is plastic-coated galvanized fencing. The vertical posts are 4- by 4-inch redwood fence posts; the horizontal ones are 2-by-4s. The entire redwood structure has a waterproof stain. 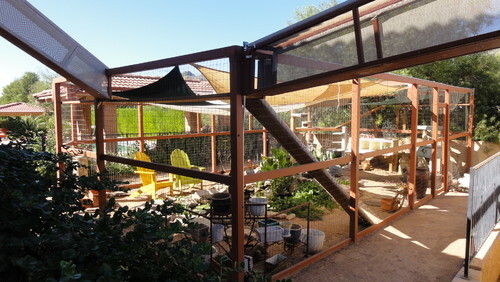 ​Bird netting overhead protects the cats from winged predators. 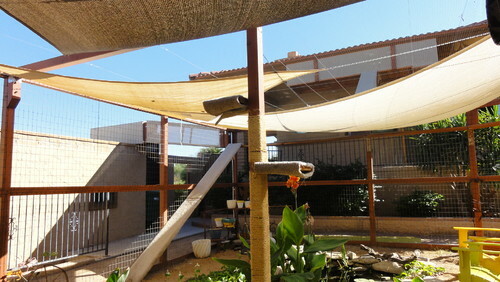 Shade sails provide relief from the sun. “Unfortunately, they’ve become hammocks and suspension bridges,” Liz says. The guesthouse is now a full-time cat residence, complete with linoleum floor and fiber-reinforced plastic on the walls, which can be easily wiped down. 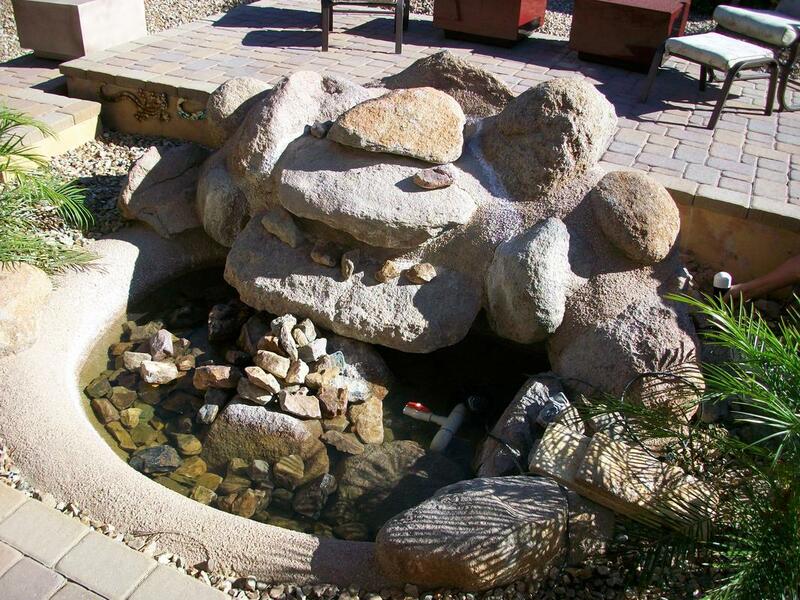 ​The experts at The Pond Gnome installed a pond inside — a habitat for koi, goldfish and mosquitofish. 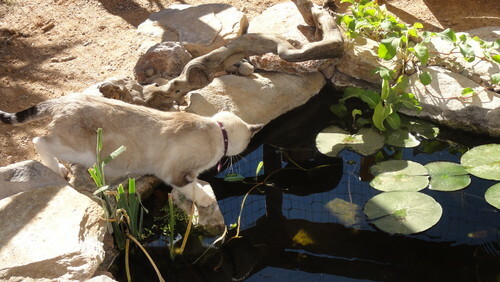 Contrary to popular belief, the cats don’t go after the fish, but they do enjoy watching them. ​Liz and Tom are teaching the koi to come when they are called via treats (it’s a koi thing, they swear). 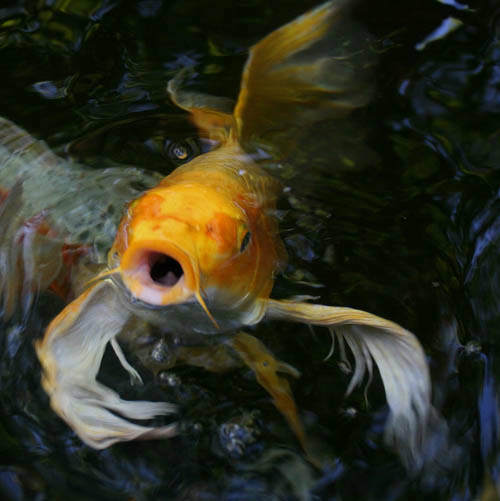 “One day when a koi popped up for a treat, he scared the daylights out of Sylvia,” Liz says. ​I know what you want to ask but are too polite to. The answer is, they rake out the enclosure once a week, and the cats also have litter boxes indoors. In fact, the couple is even training the cats to use the toilet in the guesthouse. I forgot to ask if they got the idea from Meet the Parents. 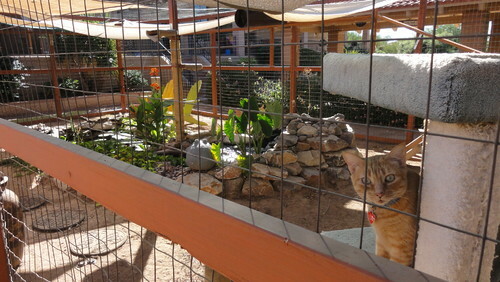 ​The cat enclosure is a work in progress. The to-do list includes adding rain gutters, box planters and cat grass along the perimeter. Some special cat doors that operate via magnets will control which cats can access the main house while barring those with spraying issues. As of the date of this blog, November 15, 2017, the Guinans have moved out of state, taking their kitty loves with them, of course. 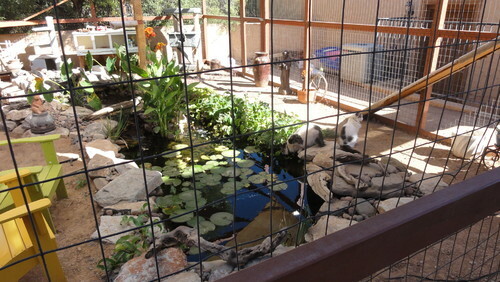 The catio has been removed, and only the pond remains, now surrounded by lawn. The house sold for $1.3+M: Zillow Listing. We miss them! ready to get one designed just for you? How Can I Tell How Many Gallons of Water are in my Pond? 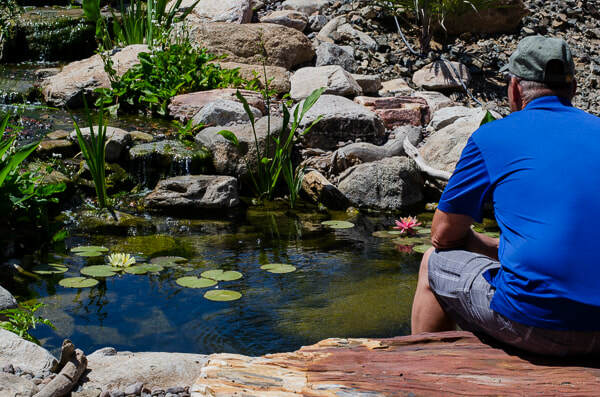 There are a few times you might need to know how many gallons of water are in your pond, such as when figuring out how much of a certain water treatment product to use. 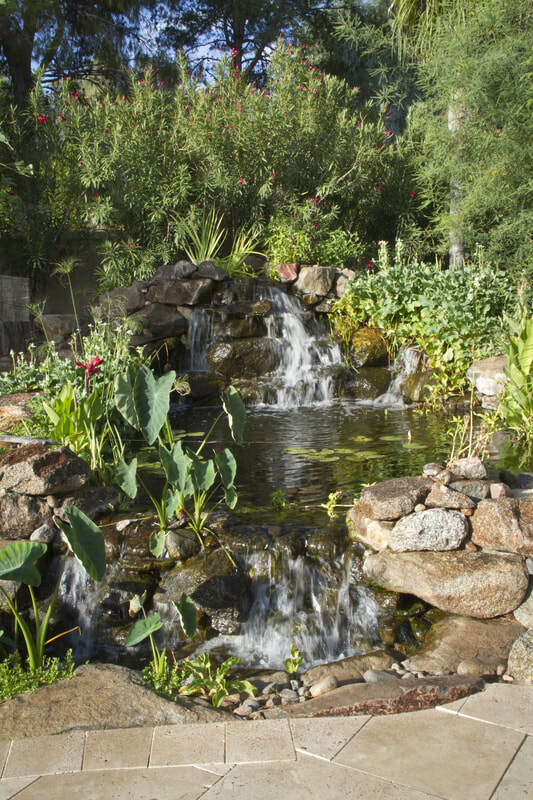 It's also handy to know how many gallons of water are in your pond so that you don't overstock your pond with fish​. No, it's not an exact number. For that, you'll need a more scientific process, like taking the time to meter the water going in. However, if you're keeping your pond organically, using bacteria and enzymes to control the water quality, this calculation will get you close enough. It will also give you an approximation for how many fish you can keep happy and healthy. 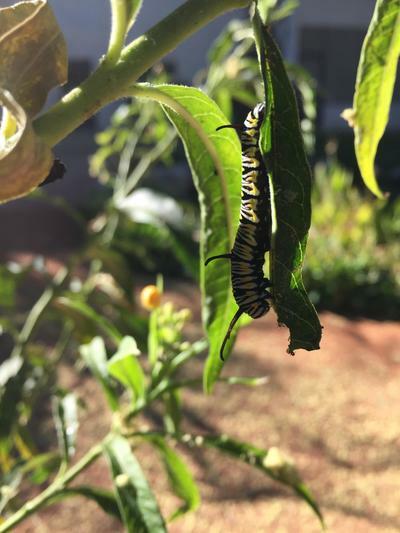 Monarch vs. Queen: Can You Tell The Difference? One of the many joys of water gardening is all the cool critters that visit. Included in that mix are gorgeous butterflies. 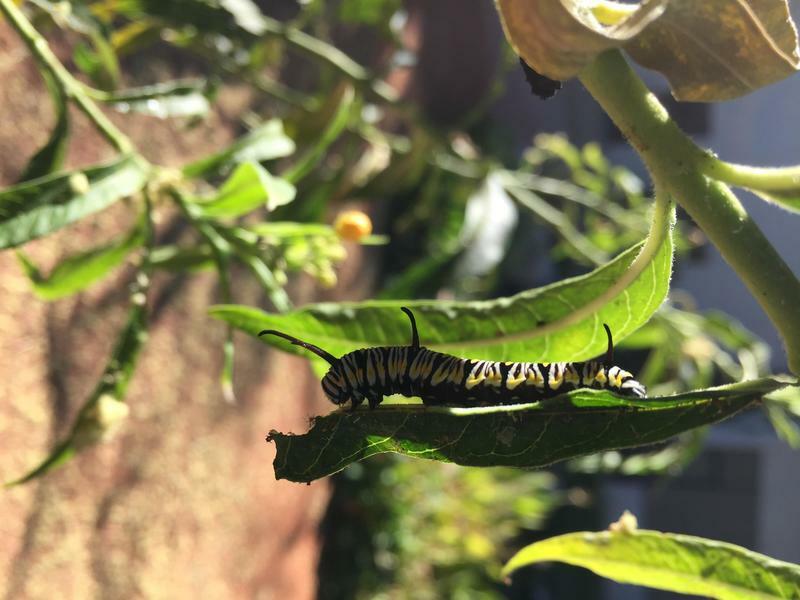 You can enhance this visitation with appropriate plantings, like Aquatic Butterfly Bush or Milkweed. 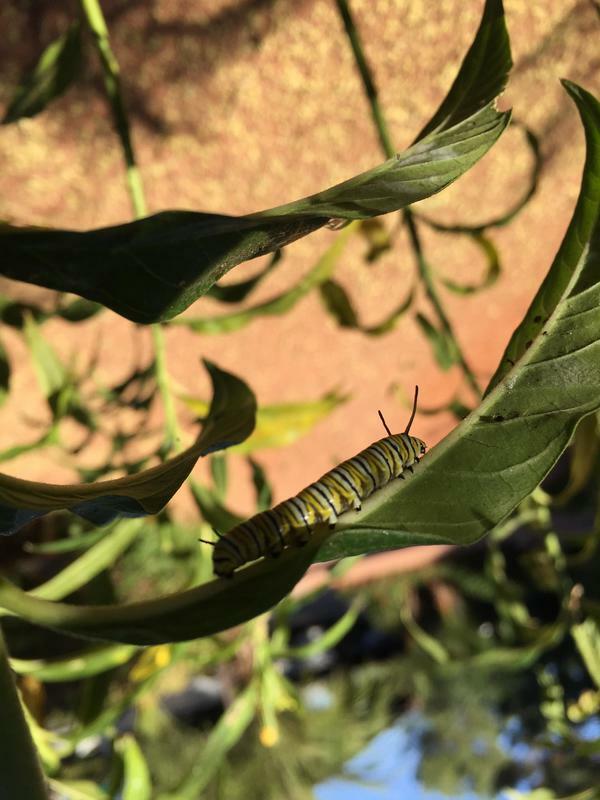 Can you tell the difference between the Monarch and Queen butterflies? 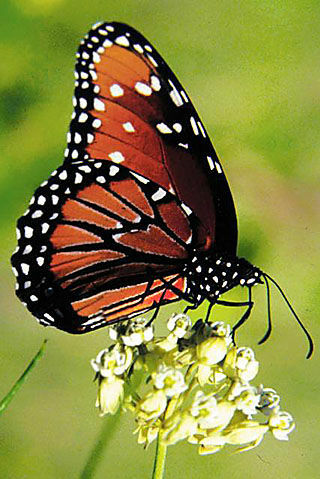 The Queen butterfly has white spots on its hindwings, distinguishing it from the Monarch. 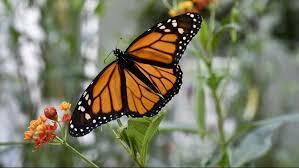 It is also a darker color orange than monarchs. When the wings of a queen butterfly are open, it's a bit easier to tell the two species apart, not to mention if they happen to be sitting side by side. They're not usually that cooperative, though. So now you know how to tell the difference. Can you count how many of each you see in your yard each day? They certainly don't sit still for long! 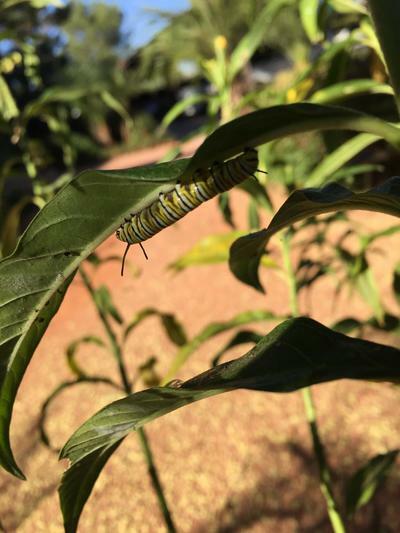 For more great information on these butterflies, visit: ​http://www.arizonensis.org/sonoran/fieldguide/arthropoda/danaus.html. ​Modern. Contemporary. Current. Present-day. State-of-the-art. Stylish. Cutting-edge. You might not automatically associate these words with a water feature or pond. But a modern pond is exactly that. 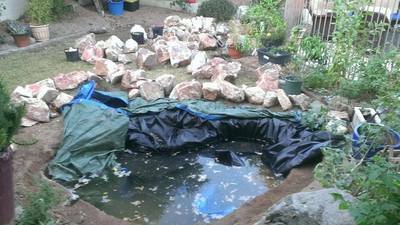 ​The old way of building a pond was often just a wok-shaped hole in the ground covered in cheap plastic liner or slathered in concrete (sometimes both). 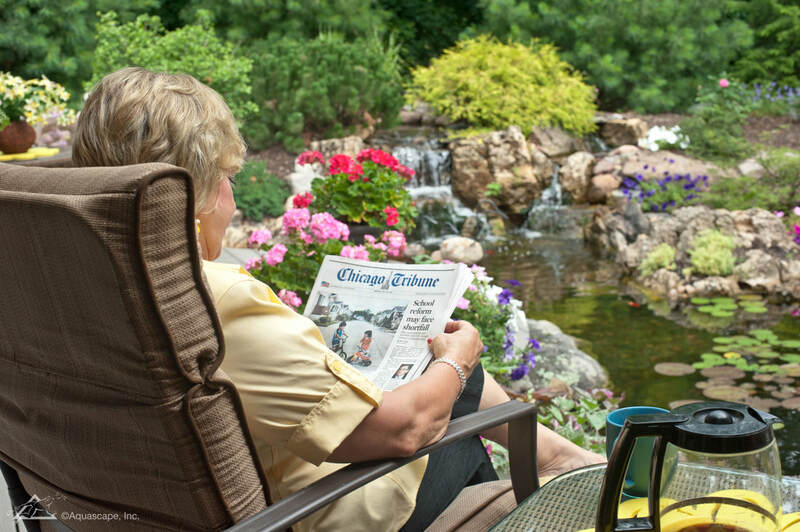 Neither process provides you with a life-long water feature, but it’s pretty cheap to do. ​Sometimes a stack of rocks would be set on the side of it, mortared together, and called a waterfall. This would mean that the plumbing was then encased in concrete within that structure, so if it cracked, the whole thing needed to be destroyed and rebuilt. ​A pond? “That’s just a hole in the ground with water.” “Sure, you can throw plants & fish in it!” The next thing you know, you have a bowl of pea-green soup, the plants look like crap, and you can’t even see the fish anymore. Not really an enjoyable experience for most people. 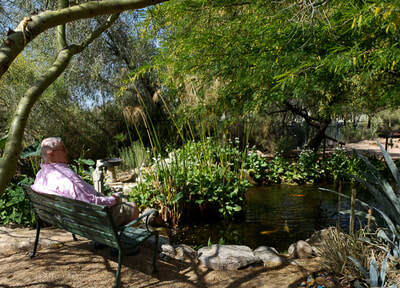 ​Old-style ponds had costly time-consuming filtration units that required constant tinkering to keep them going. Without an ecosystem and proper filtration, old-style “ponds” needed to be drained & cleaned regularly to keep them clear and not stinky. Ain’t nobody got time for that! ​Remember your parents’ and grandparents’ appliances that lasted so long you got sick of the harvest gold or avocado green color? Now, appliances (no matter how expensive) seem to be disposable after 10 years. Wouldn’t it be nice to buy something once and have it actually last? People work hard for their money. Nowadays, when people are considering a home improvement option, they want to research their decision before jumping in, and they expect quality, service, and a product that’s going to last. And we’re willing to pay appropriately for it – the modern consumer. 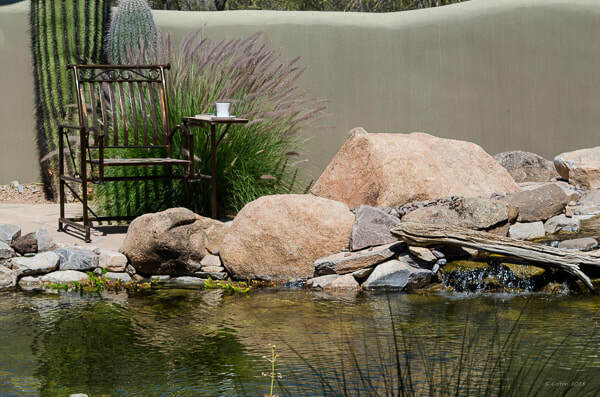 ​A modern pond is one that is built to last a lifetime. Using the latest manufacturing techniques, and quality components, a pond built today is capable of outlasting its owner. ​A modern pond is environmentally-friendly and responsible. 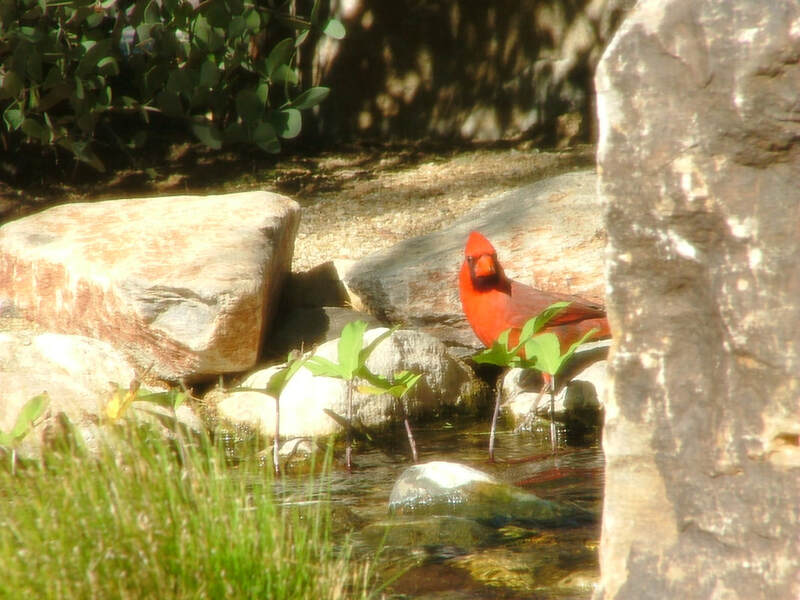 An ecosystem water feature provides a respite for native & migratory birds and other wildlife with biologically-available water. 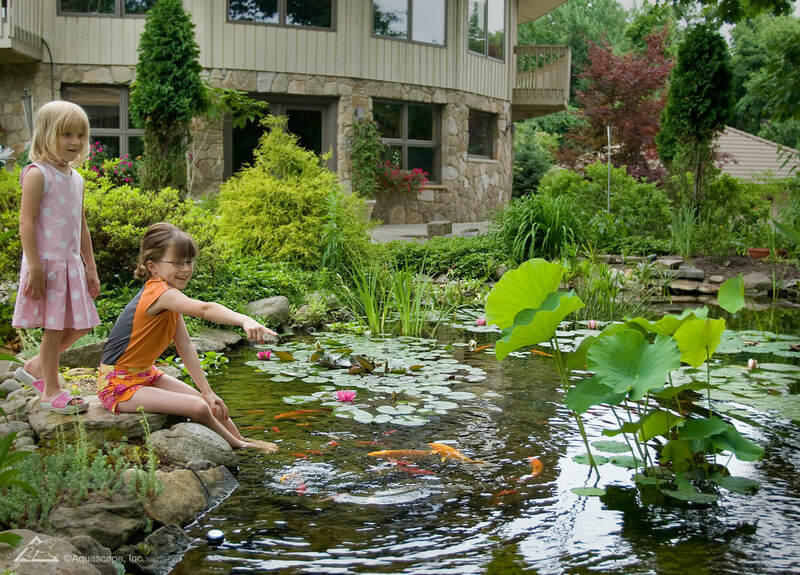 A modern pond doesn’t require man-made chemicals, but utilizes Mother Nature’s good-guys to keep the water crystal clear and aesthetically pleasing. 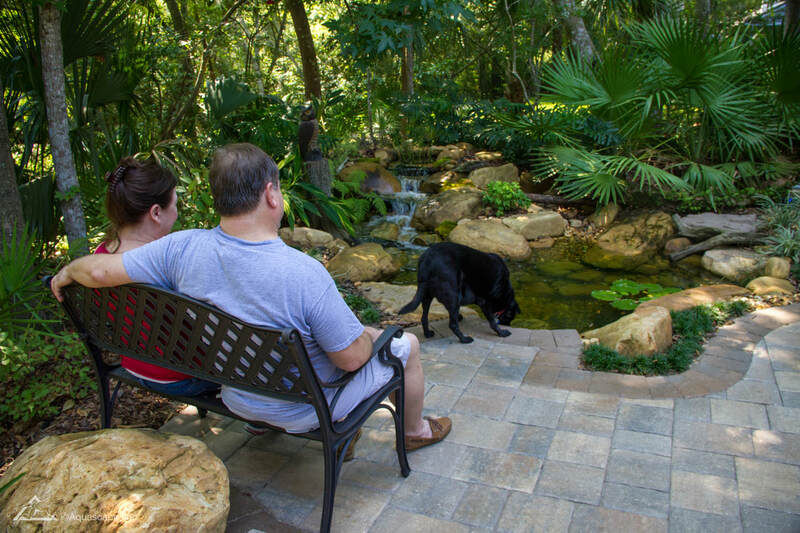 ​A modern pond is pet-friendly. Your dog (or cat) will LOVE having fresh, clean drinking water at their disposal. And no more dirty dish to deal with or keep full. 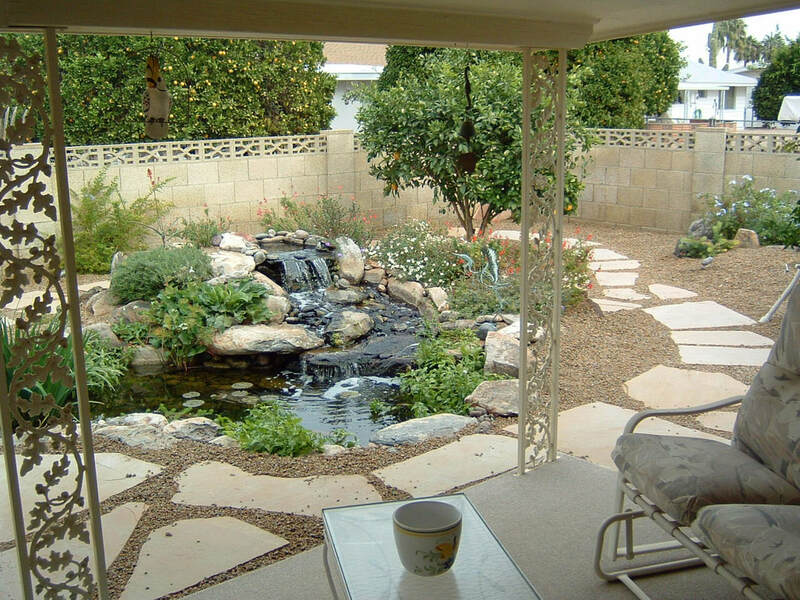 ​A modern pond looks like nature created it before the home was built. It’s not a contrived-looking sterile environment -- that’s swimming pools, fountains, and spas. Want to see how that’s done? ​How about checking out a few in person? 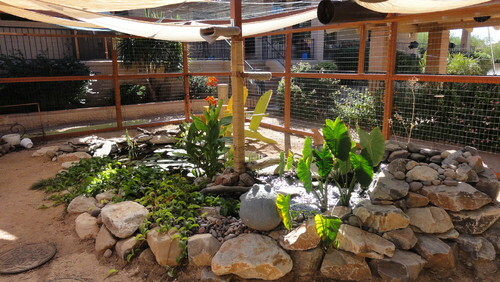 An ecosystem pond requires some kind of filtration - whether that's an installed item, or whether YOU are the filtration. ​If you're a do-it-yourselfer, we recommend that you purchase an integrated kit that contains all of the components you plan to install. This will save you much time, effort, and frustration! 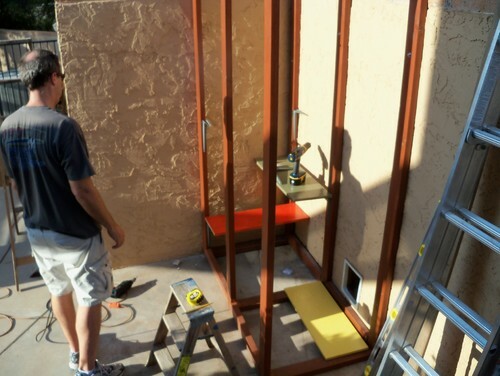 Whereas no project is truly a project without a couple of trips to the local big-box home improvement store, you might want to limit that activity on this one. If you try to bargain shop, getting each part as cheaply as possible from different stores and manufacturers, you will end up with a nightmare on your hands, without really having saved yourself anything in the long run. Remember, you get what you pay for – and that’s no lie! A great place to start would be to watch some of The Pond Squad videos. Can you see the biological filter box? Biological filtration, simply put, is a place for beneficial bacteria to inhabit. This can be done in various ways. Our personal favorite is to incorporate it into the waterfall, where it's hidden from plain sight. Since most everyone wants a waterfall, even if they don’t necessarily want a pond, this seems the most logical and easiest place to put it. ​Beneficial bacteria is essential to keeping your water quality crystal clear (but that's a whole other subject). It will adhere to any porous surface, though, so simply having some rock and stone in your pond gives it a fighting chance. A skimmer can be disguised in a variety of ways so that it's not an eyesore. If you don't HAVE a skimmer, you ARE the skimmer. 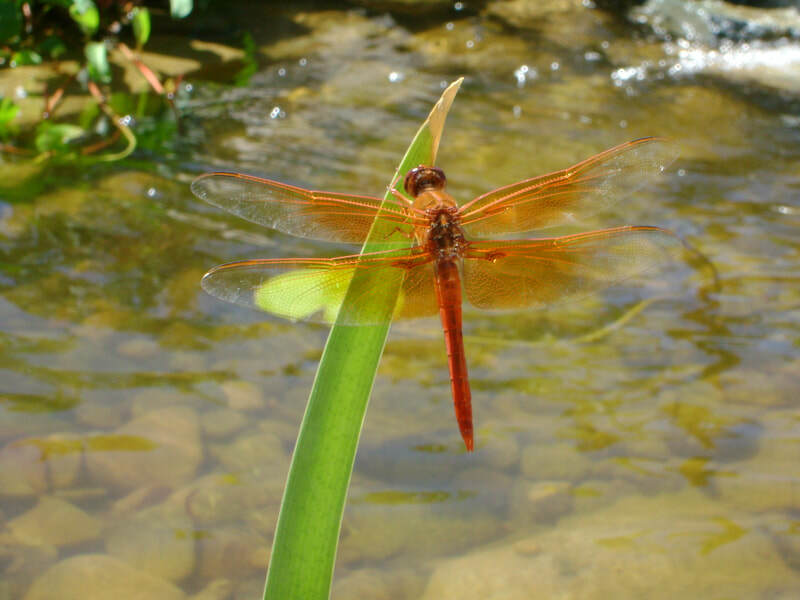 A pond skimmer works similarly to that of a pool. However, a pond skimmer is much larger than that of a pool, and is generally designed to handle larger debris. 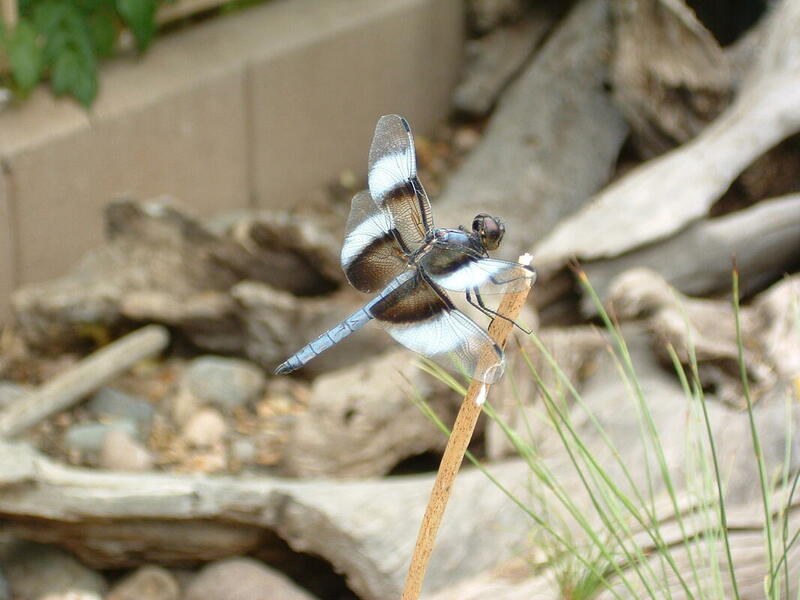 If your pond includes a skimmer, you can have trees surrounding your pond, providing a more natural-looking complimentary landscape, and still have a clean pond. Really! ​A skimmer, combined with a circulation system, will keep the debris from saturating, falling to the bottom, and becoming sludge (you know, that really foul-smelling crap that some people have to muck out of their ponds once a year, causing their neighbors to seriously consider putting out a “For Sale” sign). Intake bay at end of stream with wood snag design. In the alternative, you can upgrade to an intake bay, which is just a fancy way of saying "pondless" pump vault addition. This option make cleaning up debris a snap! You just pick it up occasionally. 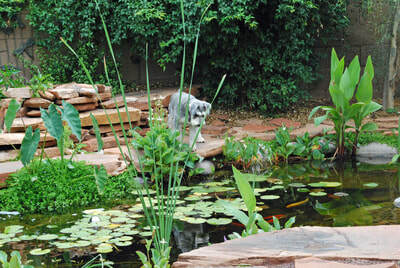 A gorgeous ecosystem pond DOES NOT have to be high maintenance if it's built properly. ​The quick answer: nope. 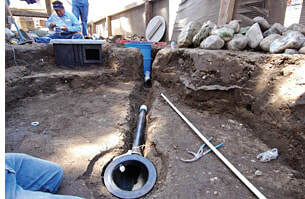 Bottom drains aren’t necessary under most conditions, so they can be a waste of money. It’s important to know whether or not you need one because it can make a big difference in the health and look of your pond. Keep reading to find out why or why not. ​What exactly is a bottom drain? ​A bottom drain is simply a drain in the deep end of the pond. It removes debris from the bottom of the pond to the filters where it can then be removed. 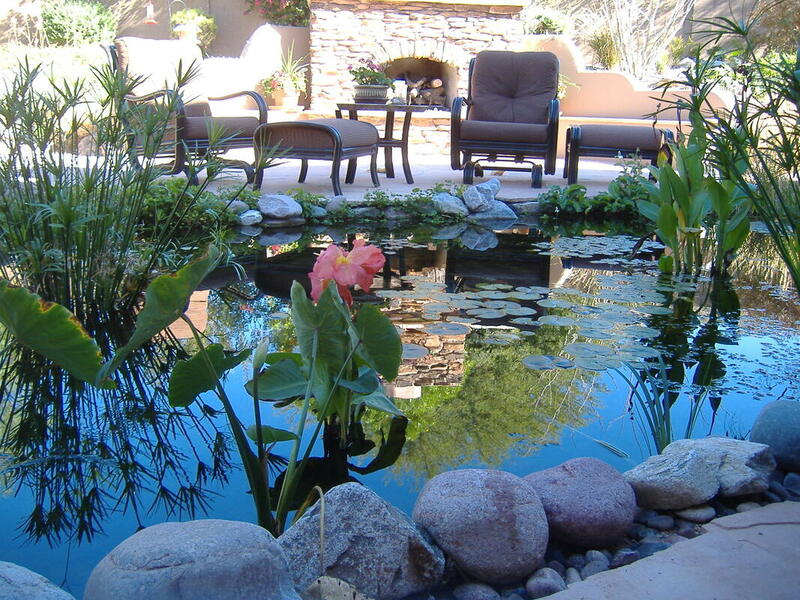 Your pond is therefore supposed to be cleaner and clearer from using one. Of course, for it to work properly, it needs to be cleaned regularly (sometimes daily, depending on the amount of debris falling into the pond. A pipe will need to be run under the liner. This means a pathway must be dug out so a hump doesn’t show. A hole is then cut in the liner and the actual drain is installed. It’s a technical process, and adds quite a bit of expense to the construction, so is it worth it? Not to mention, it’s almost always a potential leak issue because there’s been a hole cut in the liner. The less waste there is, the cleaner the pond will be and the happier and healthier the fish are. ​What does The Pond Gnome think of bottom drains? 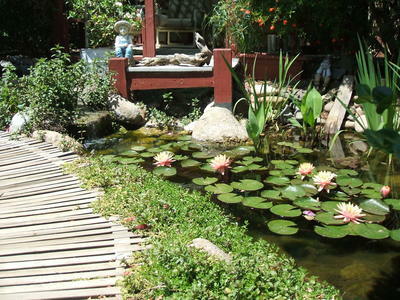 The Pond Gnome builds sustainable ecosystem ponds that don’t need bottom drains. 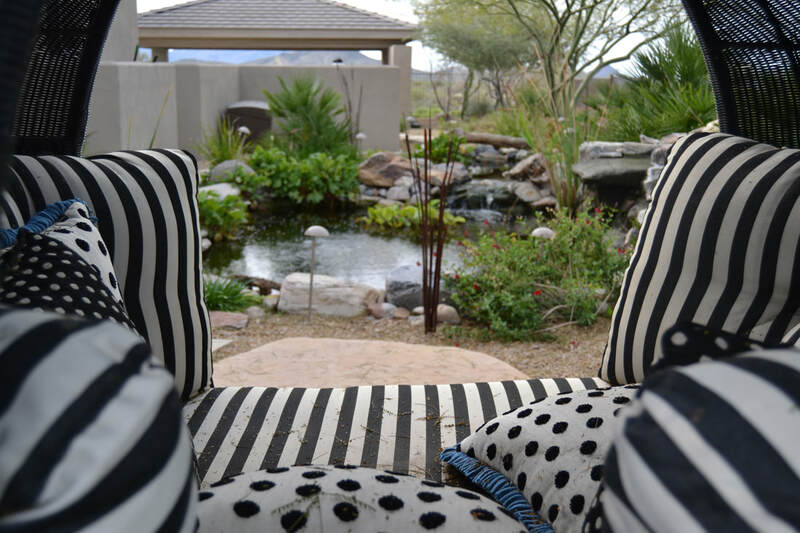 The ponds we build are typically less than 4′ deep, which means a bottom drain isn’t needed. 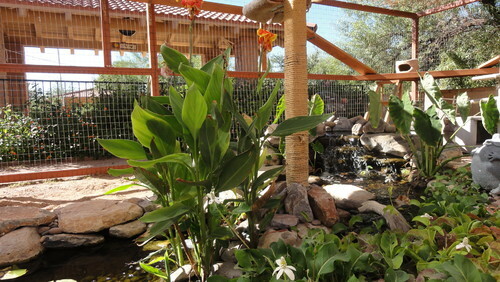 We do, however, often install intake bays in deeper Koi ponds to add to the circulation and ease of maintenance. They’re much easier to install, and don’t require us to cut a hole in the pond liner, which is always a potential leak issue. ​To drain or not to drain? ​If you have any further questions about your pond, or want to ask us about a service, fill out our contact form or give us a call at 623-572-5607. SHOULD I PUT MY POND IN THE SUN OR SHADE? 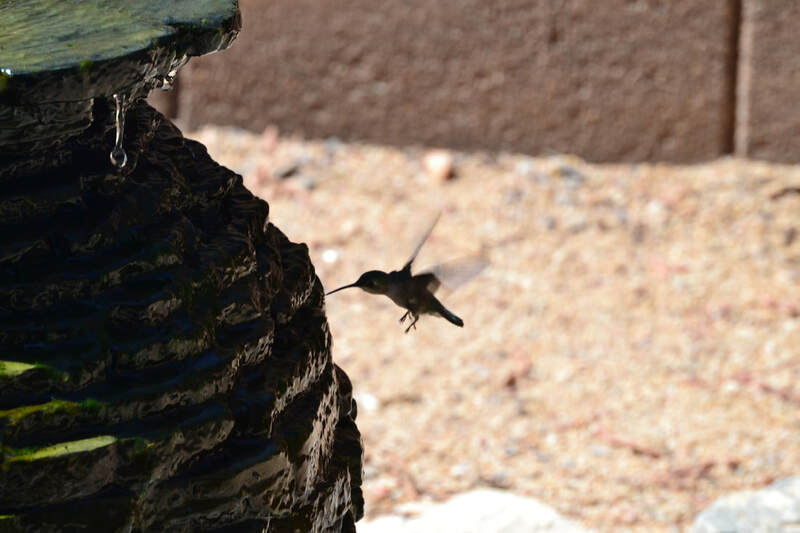 CAN FISH SURVIVE THE PHOENIX SUMMER HEAT? My pond is overflowing & flooding the yard! ​Don’t panic. There are a couple of reasons this could be happening, and it is likely a pretty easy fix. Is the skimmer basket full? If so, empty it. These ponds are so self-maintaining, that this simple step is sometimes forgotten! We’ve been out on many “emergency” calls only to discover that the basket was just jam-packed with debris. It's an expensive lesson. Is the biological filter overloaded with plants so that it’s pushing water over the back or sides? If so, remove some of that plant material from in front of the weir. The auto-level device has come loose, become bent, or is otherwise malfunctioning. ​Turn off the water source to the pond temporarily to relieve the overflowing. Once the water has gone down to where it’s supposed to be, adjust and tighten the auto-level device appropriately. We have a video in our Help Library on YouTube demonstrating how to do this. ​If the problem persists, the auto-level device probably needs to be replaced. There may be a leak around the pond or water feature caused by settling or water displacement due to plant growth. 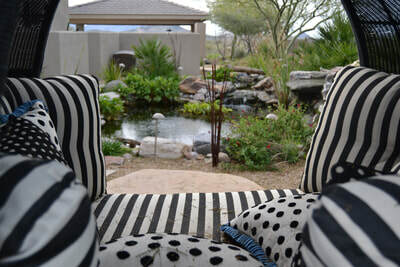 Turn off the water source to the pond and allow the water to subside. You’ll need to wait for things to dry out a bit so that you can determine whether any wet spot is perpetual. This shouldn’t take too long in temperatures over 80F. Check for leaks along the edge of the waterfall or stream. They will show as a damp area along the outer edge or around the edge of the Biofilter. Most likely, maintenance has been neglected and you have a water displacement issue caused by plants and/or their roots. 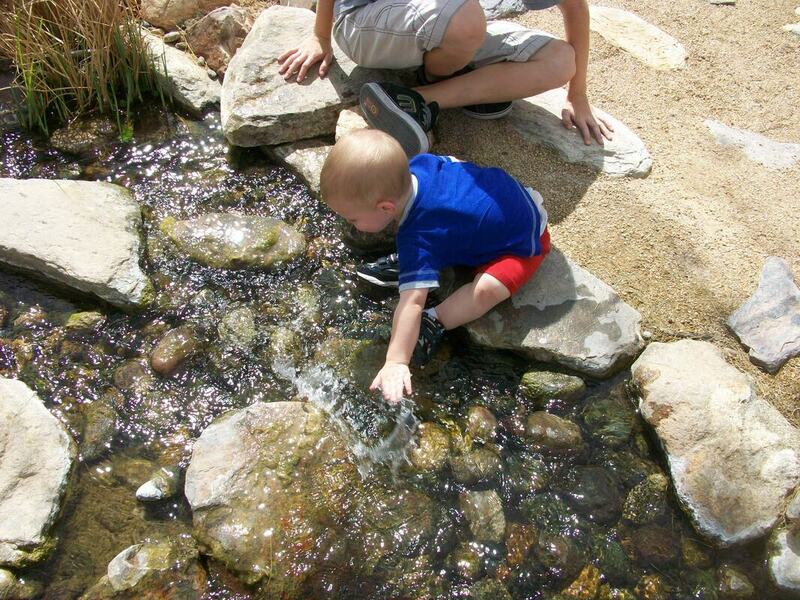 Is the water flow visible all the way from the source (typically a waterfall) to the pond? It needs to be. You may also have a settling leak, where the edge of the pond has settled a bit over time. This can happen sometimes. To raise the liner, remove the rock around the low spot, pick up the liner and shove a little dirt under it, lay the liner back down and replace the rocks. You should be good to go. If, after attempting these adjustments, you still have a problem, don’t hesitate to call for help. ​Why is there suddenly a bunch of foam in my pond? ​A California colleague of ours tells a very fun story about this issue. He’s a much better story teller, and it’s a bit longer story, but here’s a consolidated version of a conversation he had with an elderly lady that had a fairly new ecosystem pond replacing an old concrete pond. Client (calling contractor in a bit of a panic): Today, I woke up and there’s a bunch of foam in my pond! What’s going on? Contractor: Does it smell a bit fishy, like the ocean? Client: Why, yes, it does. Contractor: Well, ma’am, that means your fish are happy with their new home. 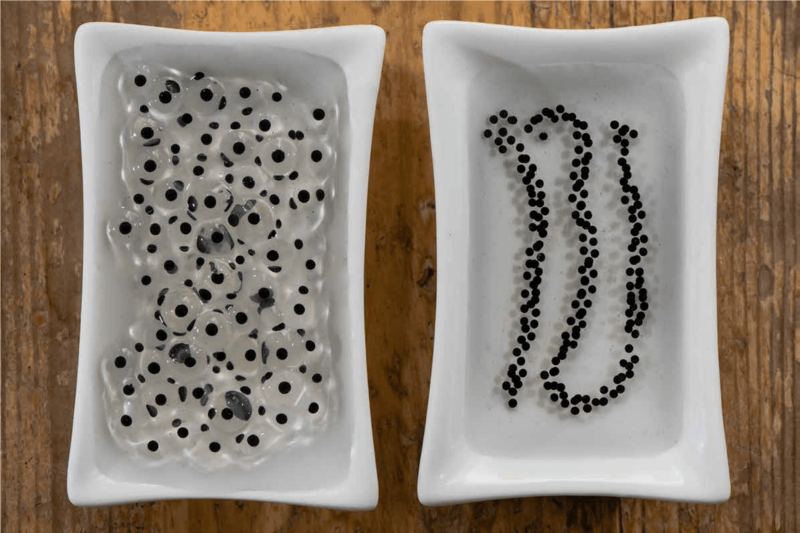 Contractor: (after a couple of more attempts to be “delicate”) It’s sperm. Client: What kind of sick son of a b*&ch would do that in my pond?!?? Contractor: (stifling hysterical laughter) No, ma’am, it’s your fish spawning. ​Absolutely nothing. It should dissipate in a few days, depending on your filtration system. If you don’t have Gambusia in your pond for vector control, you may have baby fish swimming around in the not too distant future. If you have Gambusia, they will eat the fish eggs before they have a chance to hatch. Caviar is their second favorite food, after mosquito larvae. ​If your fish are happy and feel safe in their home, this will happen. Spring is typically the season, when every creature seems to be twitterpated, but it may happen again in the Fall, too. ​You may also notice that one or two of your fish appear to be “picked on” just before this happens. Those are the females. Unfortunately, they don’t lay eggs easily, and the males kind of beat up on them to help them release the eggs for fertilization. As a friend of ours once said: “Life around a pond is both beautiful and brutal.” It’s all just nature taking its course. 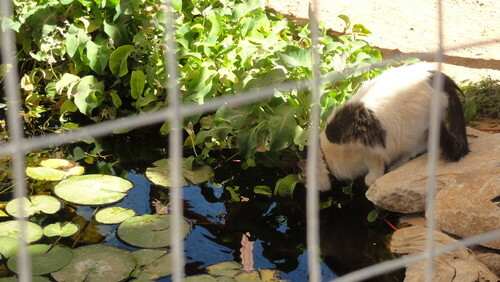 CAN KOI & GOLDFISH SURVIVE THE PHOENIX HEAT? The pond pump is the heart of your pond system: pumping water through the circulation system and creating aeration for the aquatic life. A pump down situation can be devastating at certain times of the year. In the "winter," when nighttime temps stay cool (water temps follow nighttime temps), it's not a big deal. A cold pond can go for several days without circulation, especially if you don't have fish over 12" long. 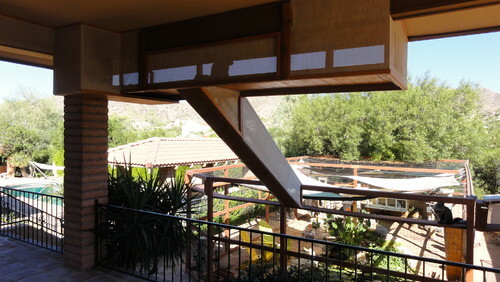 However, during our Phoenix summers, the days can reach 110+ degrees, and our nights can stay at or above 90+ degrees! This can be a deadly situation to not have circulation and aeration. 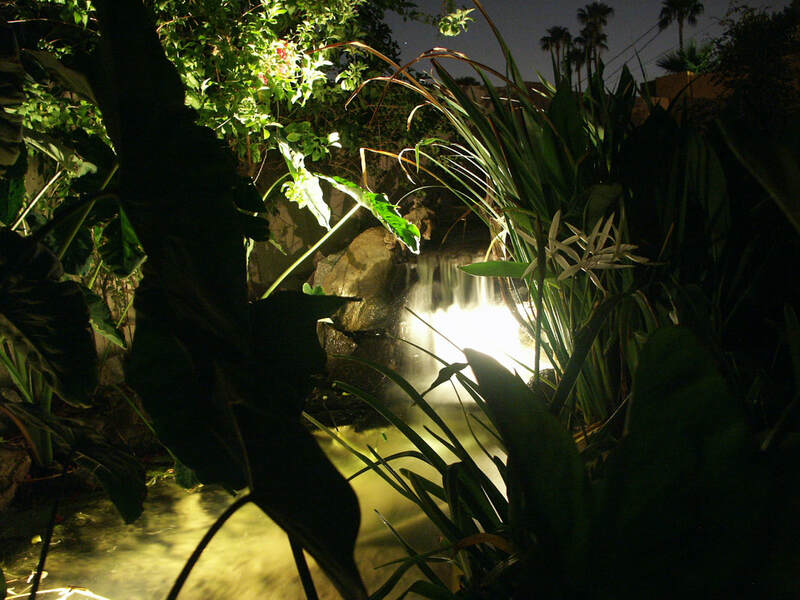 When in their summer growing season, aquatic plants are actually drawing oxygen FROM the water at night. Your larger (12" and over) fin-babies could suffocate without circulation and aeration at night. What Can I Do If My Pond Pump Dies? 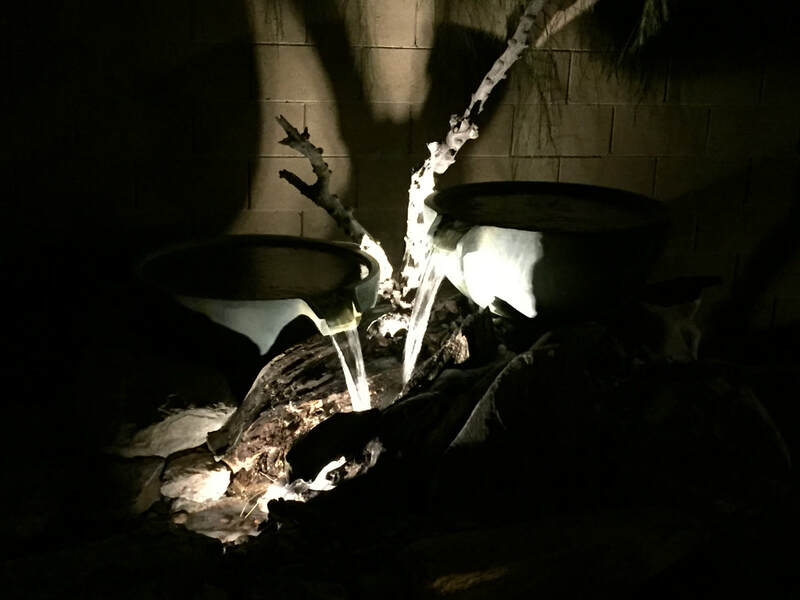 ​It's a good idea to have a cheap emergency fountain pump on hand, just to keep the water circulating and aerating until a new pump can be purchased and installed. Even better: have a battery-operated air stone around. These can be purchased online or at any bait shop. This will work even if you have a power outage, like the brown-outs that occasionally happen during extreme heat and power demands. How Do I Get My Pond Pump fixed? You should know what kind of pump(s) are in your pond (as well as the other equipment). If you don't know, make it a priority to find out. Also know the best resource so that if something goes wrong, you have the information at the ready to get it handled. If you're not able to figure it all out, we can provide you with an Exploratory Drain & Clean, which will then provide you with all of the information you need, as well as have it on file in our database. Just let us know if we can be of help! What the Heck is an Exploratory Drain & Clean for a Pond? Well, pretty much just like it sounds: we drain, clean, and explore the pond. For example, if you've purchased a house that came with a pond, this is a great way to get it cleaned up, and to learn all the ins and outs about what you've got there, and how to properly care for it. There are literally hundreds of ways to build a pond, and hundreds of choices for each component. And they all function a bit differently. 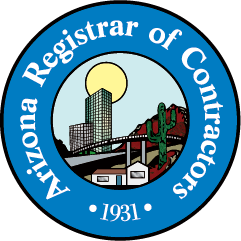 You could spend hours upon hours doing research online and may never find exactly the right information -- especially since the vast majority of information posted is from the Midwest or East Coast, and not our Sonoran Desert Environment. If you're a big-time DIY-er, check out our basic pond cleaning instructions. Full disclosure: these instructions are geared toward the type of ponds that we build and that are our specialty, and are not all-inclusive of every pond type. 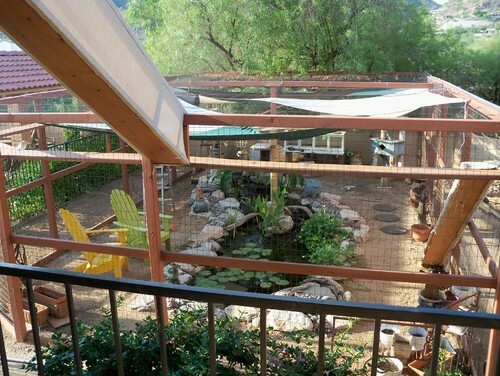 ​Again: hundreds of ways to build a "pond." If you're not really into handling stuff covered with fish poo, we can help! 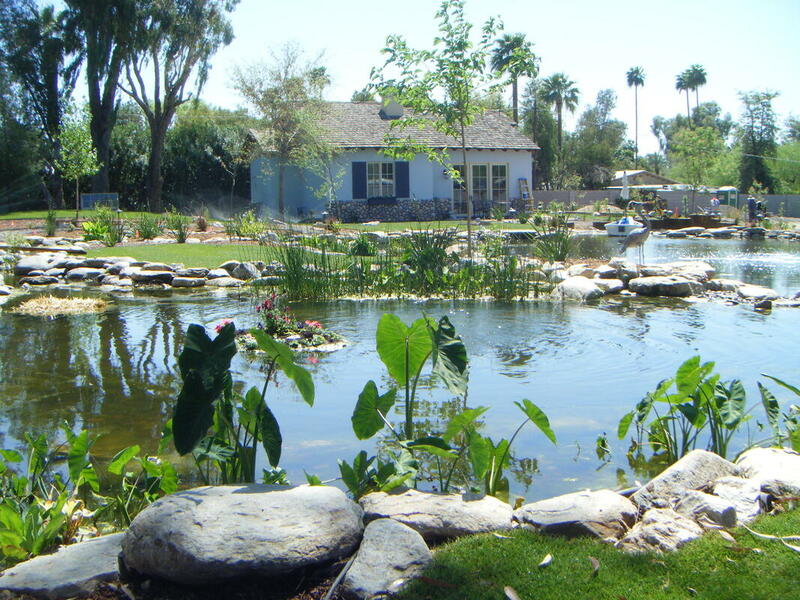 We can clean your pond, and educate you about the care and maintenance of it. In the alternative, we can also provide ongoing maintenance help for folks who want to do a little, a little more, or nothing at all! 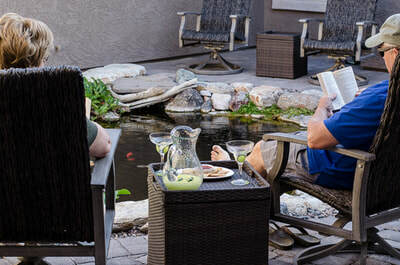 But mostly, an exploratory pond cleaning will give you all the information about your pond that you’ll need to keep it an enjoyable landscape feature and focal point: Does anything need replacing? What needs to be added or taken away? What upgrades can be done? First, we set up our handy-dandy portable retention tanks to keep your fish and other aquatic life safe and sound while we play in their pool. We pump the pond water directly into our holding tanks, and then add your fish to that water, so that they're not too stressed going into a different temporary environment. We do our best to take care of your wet pets. This method also allows us to put the healthy water back into the pond upon completion of the cleaning, again stressing the fish as little as possible. ​ We also condition any additional water going into the pond to keep it a safe environment for the aquatic life. 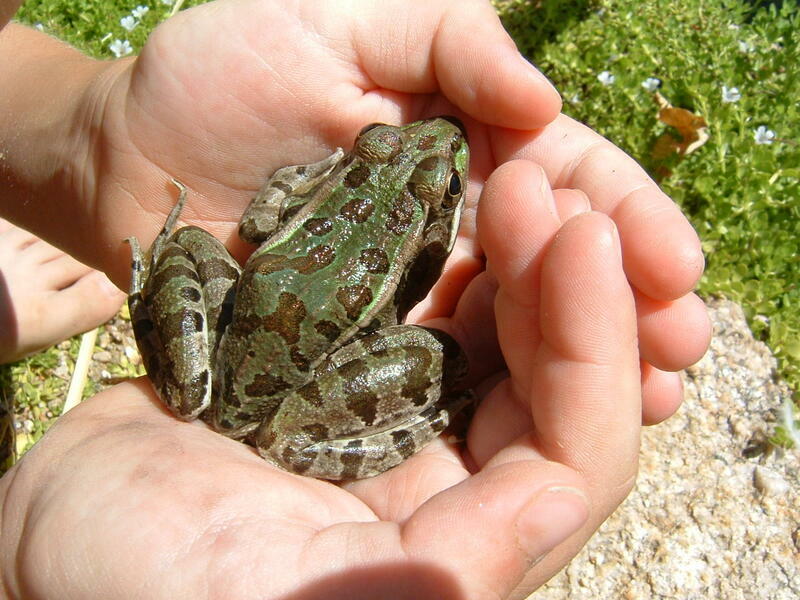 Once the aquatic life is safety ensconced elsewhere, we can complete the draining process and clean the pond. 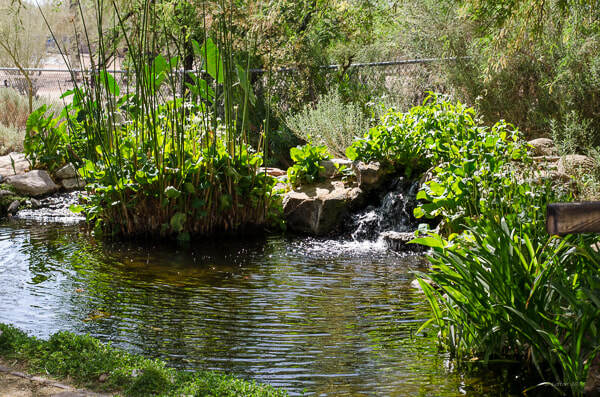 We don't power-wash the rocks, but leave the pond patina in place because that's an integral part of an ecosystem pond -- it helps filter the water. You want your rocks green and fuzzy, but your water gin-clear. We do vacuum the mulm off the floor, though. And we clean the filters. 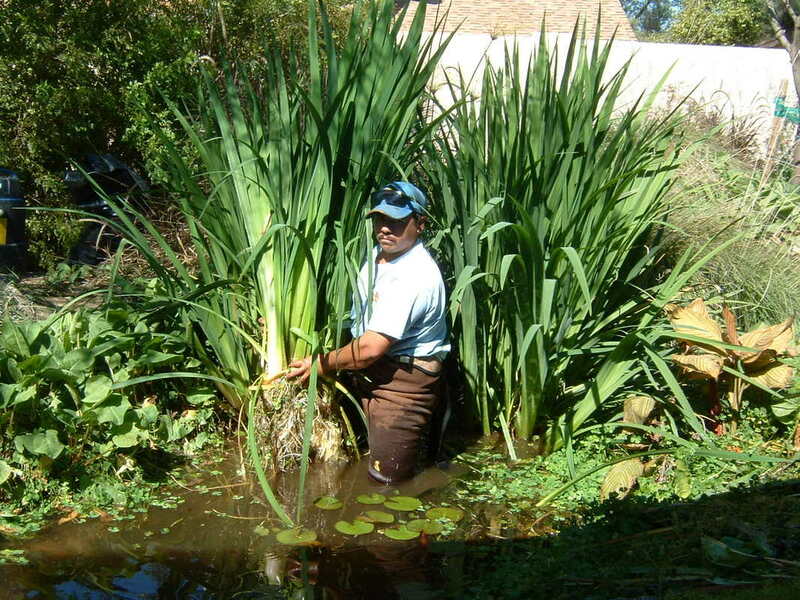 And, of course, we thin & trim the plants appropriately: aquatic gardening. AND you'll get a full copy of this report within a couple of days of the completion of the service. We also make recommendations for improvements to try to give you the best backyard pond experience possible. The final result can be a cleaner pond and lower maintenance, which means less work for you! BONUS: next time you need us to help with service, we have a complete record on file in our database of what's in your yard. 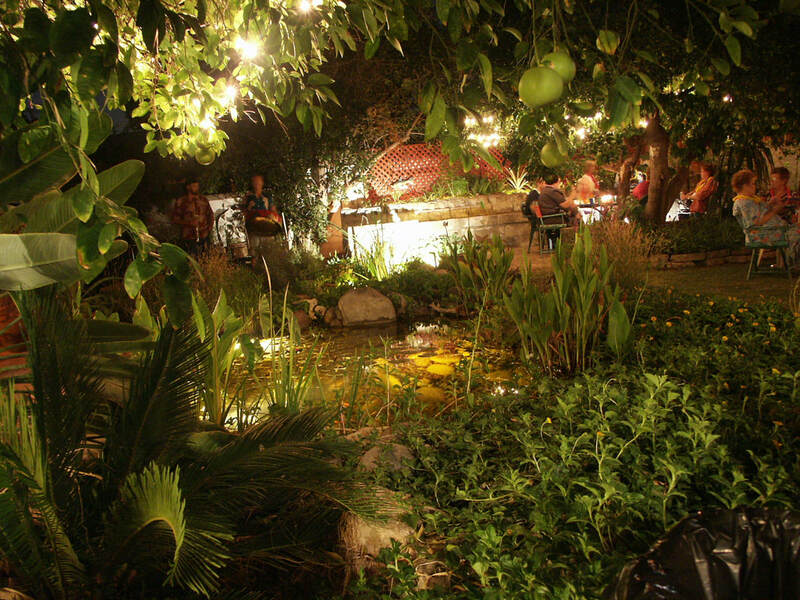 Having a filthy backyard pond takes away from the beauty of your backyard, causing it to lose value. It may also start to stink. Let us help you bring that pond back to its full potential! Contact us today for a free quote! Yes! Like most things in life, this is a package deal. Both sun and shade have their advantages. 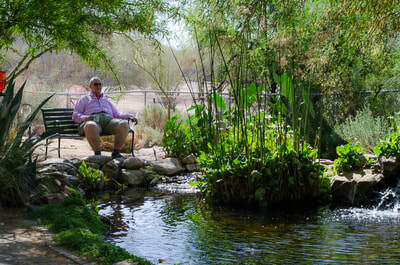 If properly designed and built, you can put a pond ANYWHERE and have a lush, gorgeous ecosystem. What if I put my Pond in the SUn? 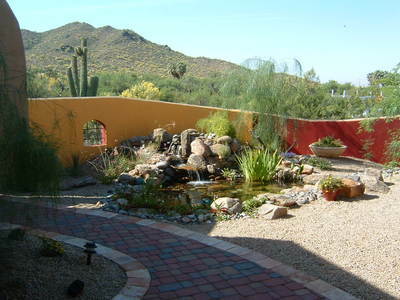 If you put your pond in the sun, you will have lots of great color from blooms! Your water lilies will thrive and smile at you in the form of flowers. 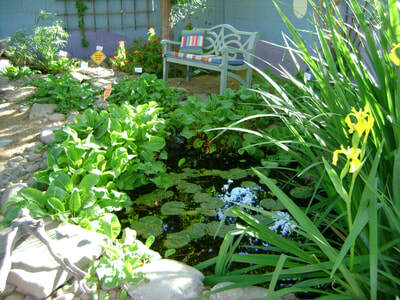 There are a lot of great sun-loving aquatic plants that will fill your pond with color given enough sunshine. The downside to putting your pond in the sun is that algae also loves sunshine. So, during the time of year when the aquatic plants are not growing aggressively, you may experience more algae in the pond. Algae is simply the weed in the garden. It has it's purposes, though, but that's another blog. What if I put my Pond in the Shade? If you put your pond in the shade, you will greatly decrease the potential for algae, as well as provide overhead cover against flying predators that would see the pond as a meal source. The downside to putting your pond in the shade is that you will have fewer colorful blooms on your water lilies and other aquatic plants. Who doesn’t love Koi fish in their pond? They’re beautiful and friendly, providing glimmers of color as they weave their way beneath the lily pads, and in and out of the light rays at night. Certainly they deserve their rightful place in a tranquil water garden. But what about other options? 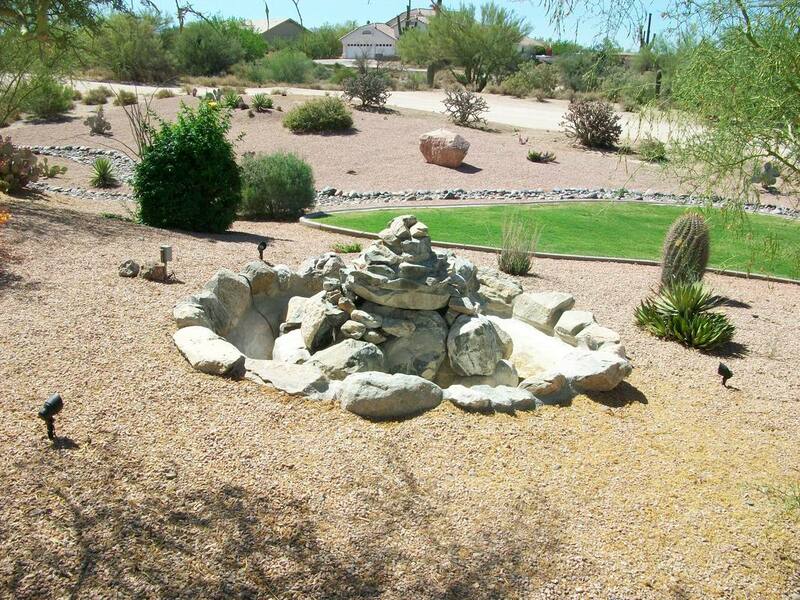 An assortment of pond fish is just waiting to call your pond their home. ​Goldfish are perfect for your pond: resilient and able to handle all different kinds of water. For the newbie pond owner, and smaller ponds in general, goldfish are a great choice for getting started with fish-keeping. Several varieties of goldfish are available, from comets (plain orange and white) to the exotics like ranchus and bubble-eyes. Exotic varieties include lionheads, telescopes, black moors, orandas, ranchus, and ryukins. 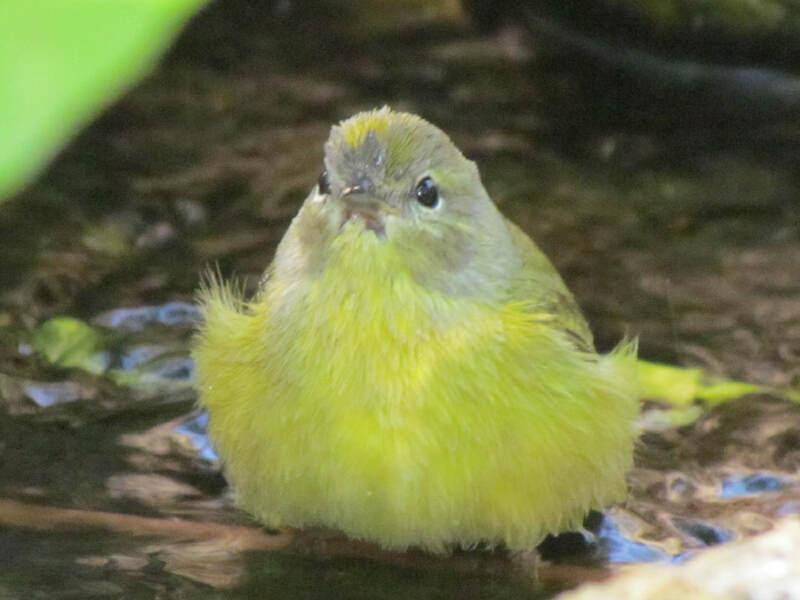 The single most distinguishing characteristic of this group as a whole are their round, bulbous abdomens. Note that these fish are not the great swimmers of the fish world. Ponds with great circulation, and strong skimmer currents are probably not the best environments for these fish as they will struggle to stay out of the skimmers and have difficulty thriving in environments with strong currents. Use these fish in ponds with minimal water movement, like reflecting ponds. ​Shubunkins are a type of single-tailed, long-bodied goldfish that originated in China. There are two different types of shubunkins. One has a long tail fin, with broad tail fin lobes that are rounded on the end. The other one looks more like a common goldfish, with a short tail fin. Bred mainly for their coloring, shubunkins often have a red, black, and sky blue coloring, sort of like a calico. ​Catfish are another popular fish seen in the water garden. They are commonly sold as scavengers to help clean up the pond, but they really don’t do that much of it. Caution should be taken with these fish because they can become quite large in a short period of time. When they become large, they can cause trouble because they may start eating whatever they can fit in their mouth -- including other fish! 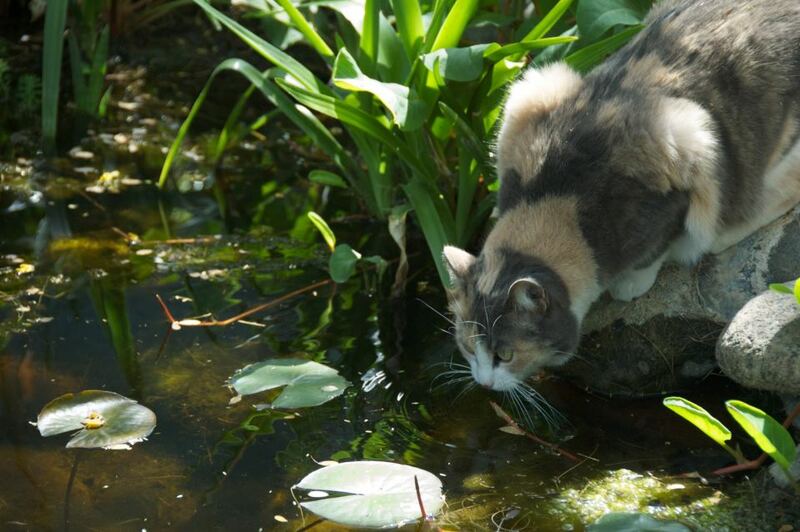 ​Getting to know the background of the pond fish you plan to keep as pets is vital to their survival and your sanity. By knowing their defining characteristics, you will have a thorough understanding of how the fish will interact in your pond with other fish, plants, and aquatic life. 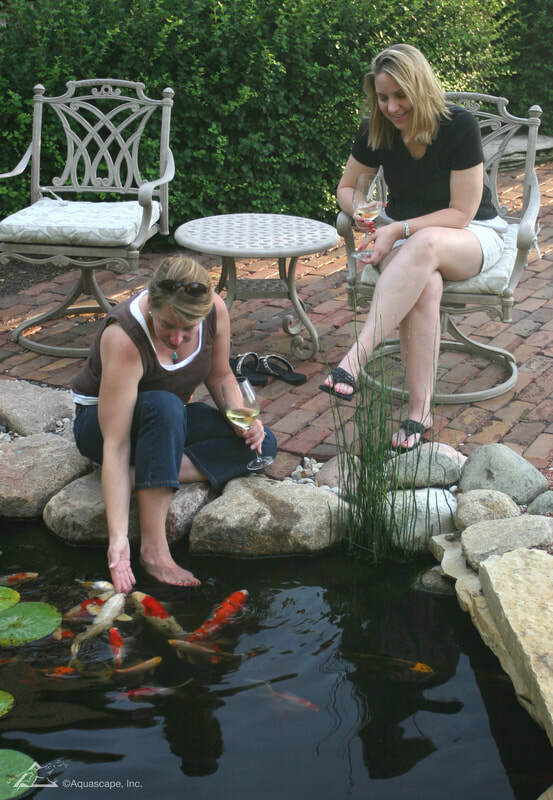 ​Before building a pond, careful consideration should be given to the type of fish you’d like to collect. Different fish require different filtration and pond sizes. For example, we don’t recommend putting Koi in a pond that’s less than 10’ x15’ x 3’ deep in size. For ponds smaller than that, we recommend the homeowner stick to various types of goldfish. And then there is game fish, which is a whole different conversation! I KNOW WHAT I WANT AND I'M READY TO GO!